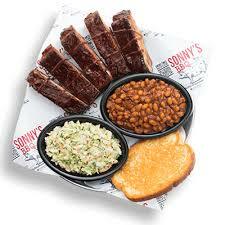 1701 Norman Dr., Valdosta, Ga 31601 We love everything about BBQ. The food. The culture. The camaraderie. The way it brings people together to have a good time. And the good it does when it’s shared with the community. That’s why we take such pride in making our BBQ the best it can be. And why we spread the spirit of BBQ every chance we get. 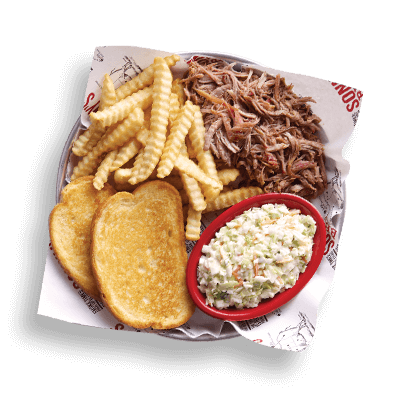 Our famous slow-smoked Pork, either pulled and piled or sliced and stacked on garlic bread. 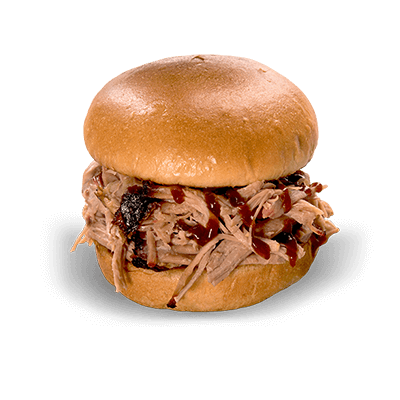 Our famous slow-smoked Pork, either pulled and piled or sliced and stacked. With two sidekicks and garlic bread or homemade cornbread. 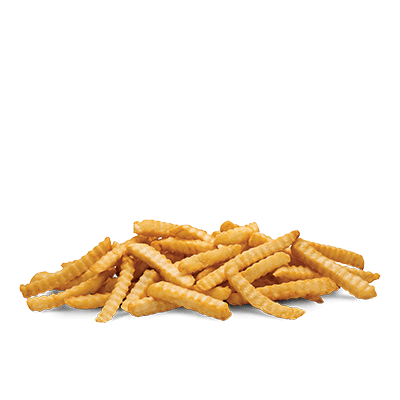 10pc. 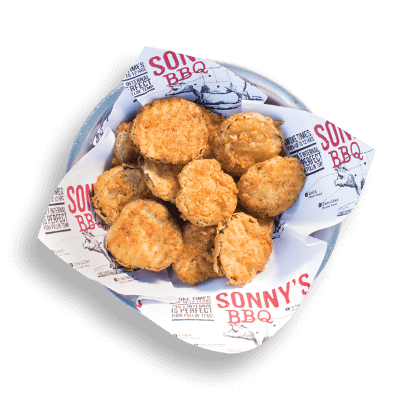 Smoked, Dry-Rubbed or slathered in your favorite BBQ sauce. Tender, 12-hour smoked USDA Certified Angus Beef brisket, sliced (lean) or chopped (marbled). With two Sidekicks and garlic bread or homemade cornbread. Loaded with Pulled Pork, homemade coleslaw and Pepper Jack cheese with a side of smokey Ranch dip. Hand-battered and fried dill pickle chips, served with a side of Ranch. If you're eatin' BBQ, there's bound to be some sharing. 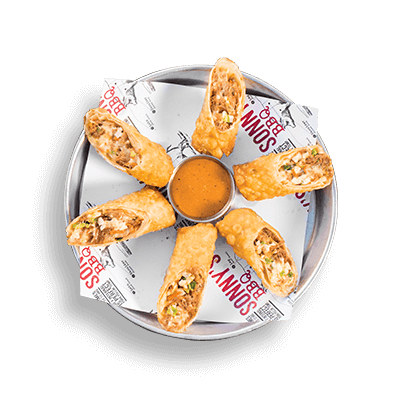 Our appetizers are a good way to get the plate-passin underway. 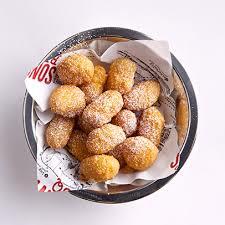 A deep-fried Southern favorite. 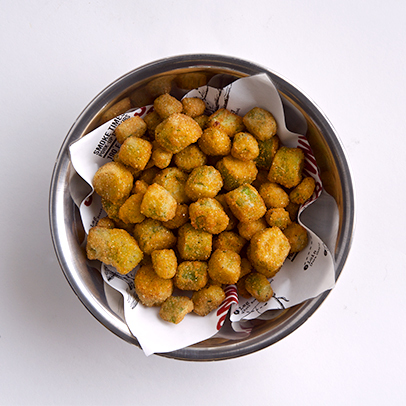 Fresh okra, chopped, breaded and fried to a crisp. 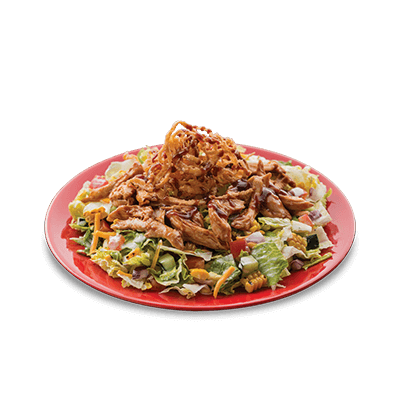 Meat-eaters and leaf-lovers can both agree that our salads are delicious. 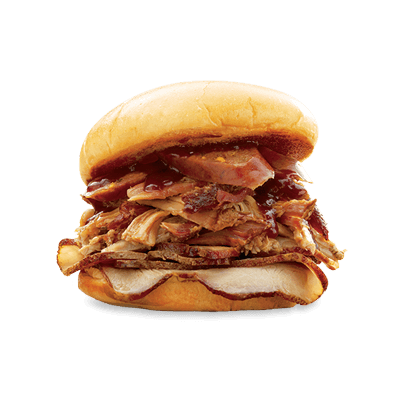 With or without slow-smoked favorites on top. 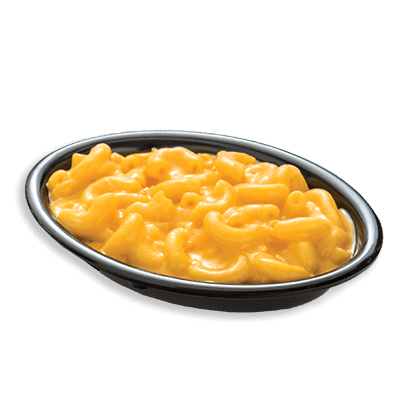 Served w/ two sides and choice of bread. 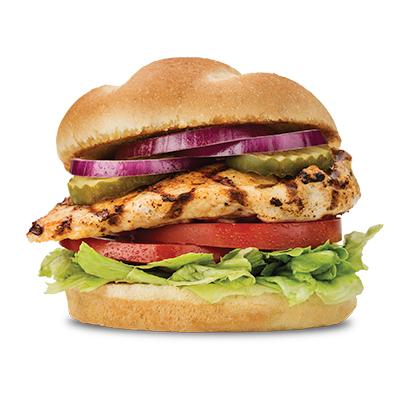 Make it a Big Deal: Add a Sidekick and a soft drink to any BBQ Sandwich for just a little bit more. 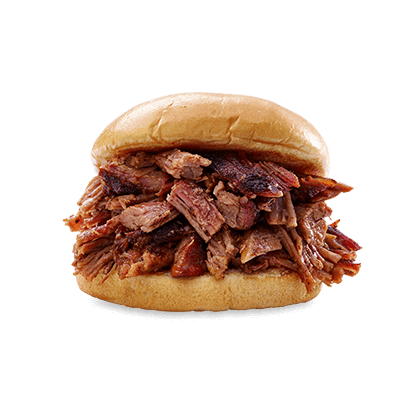 Tender, 12-hour smoked USDA Certified Angus Beef brisket, chopped and served on a fresh toasted bun. Sliced Pork, Pulled Pork and Jalapeño Cheddar Hot Links topped with Sweet BBQ sauce on a fresh toasted bun. 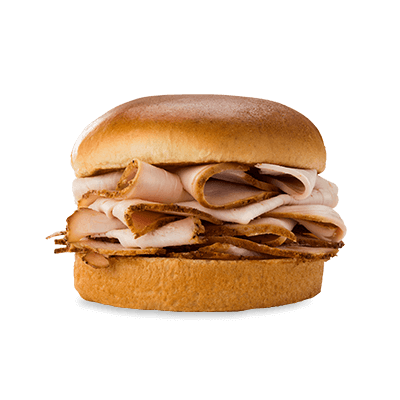 Thick slices of tender, slow-smoked turkey stacked high on a fresh toasted bun. 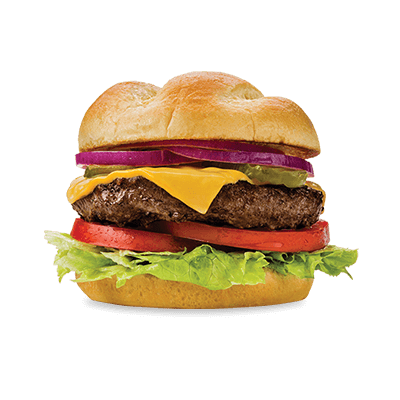 Our original Steakburger, topped with Cheddar, Swiss or American Cheese and served on a fresh toasted bun. 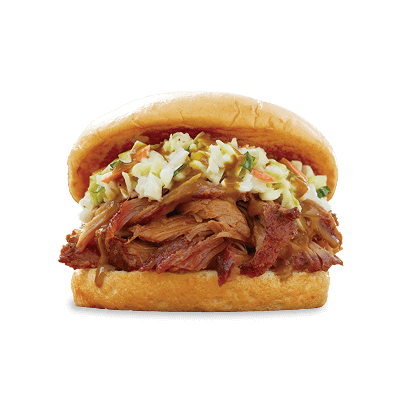 Pulled Pork topped with homemade coleslaw and Sonny's Signature Carolina Sauce on a fresh toasted bun. Jalapeño Cheddar Hot Links, Chopped Brisket, banana peppers and red onion topped with sweet mustard sauce on a fresh toasted bun. 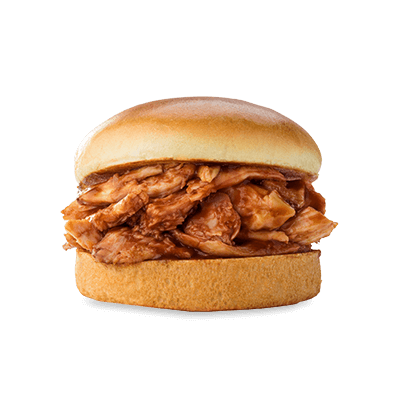 Tender, slow-smoked chicken, hand-pulled and piled high. Served on a fresh toasted bun. Our meats are slow-smoked over Oak for hours. In-house. Every day. 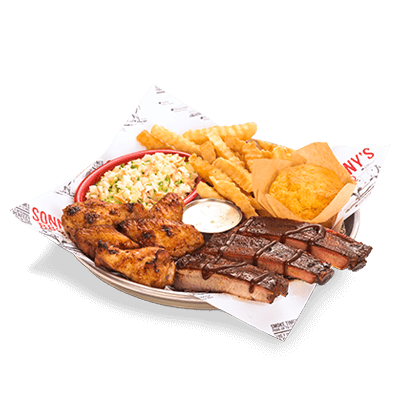 That’s what gives our BBQ its signature smokey flavor and tender, delicious taste. Served with two sides and choice of bread. Thick, meaty ribs. Served either Sweet & Smokey or House Dry-Rubbed. With two sidekicks and garlic bread or homemade cornbread. 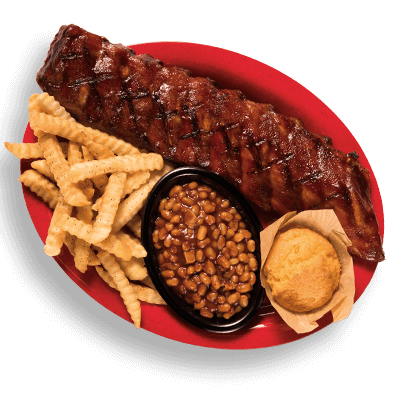 A full slab, slow-smoked, then fire-grilled to order and served sizzlin'. With two sidekicks and garlic bread or homemade cornbread. Tender and juicy smoked chicken half. With two Sidekicks and garlic bread or homemade cornbread. Hand-pulled and piled high. With two Sidekicks and garlic bread or homemade cornbread. Tender slices of smoked turkey. With two Sidekicks and garlic bread or homemade cornbread. In the mood for more than one meat? 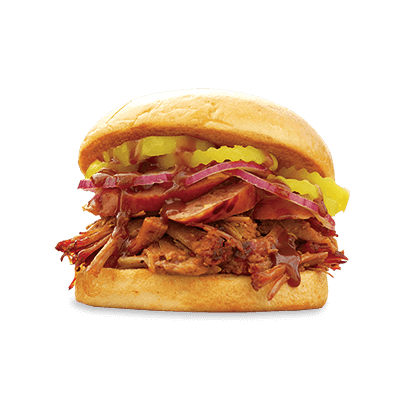 Our Pitmaster Picks offer a variety of slow-smoked favorites. Served with two Sidekicks and garlic bread or homemade cornbread. 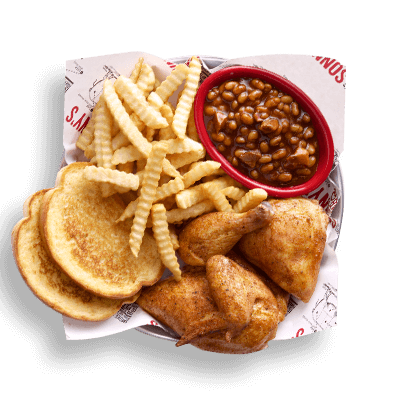 Choose 4 meats, 2 sidekicks and your choice of bread. 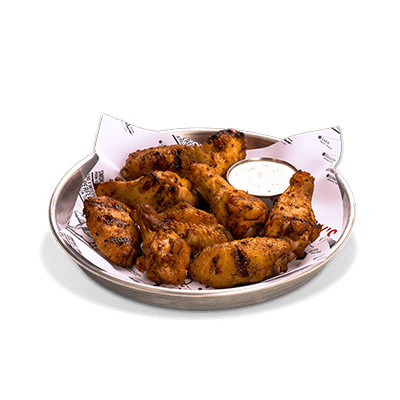 Fresh-from-the-smoker wings pair perfectly with our signature St. Louis Ribs. 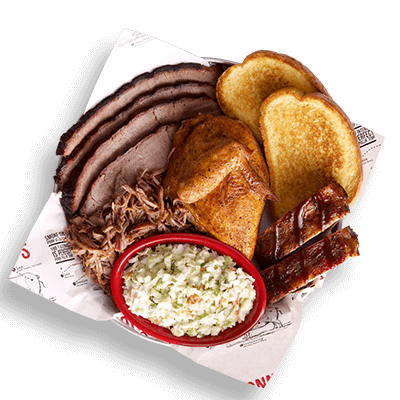 A tasty trifecta of the meat that made us famous - Pulled Pork, Sliced Pork and St. Louis Ribs. Served with two sidekicks and choice of bread. 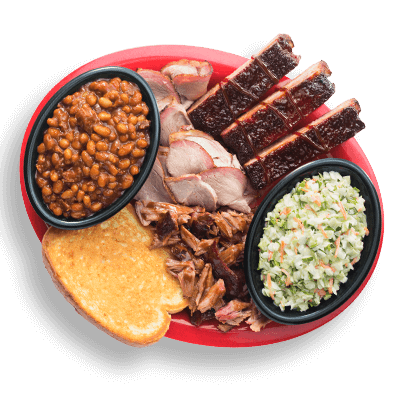 Pulled Pork, Sliced Brisket, BBQ Chicken and Sweet & Smokey St. Louis Ribs, plus BBQ beans, coleslaw, crinkle-cut fries, cornbread and four sweet teas. Serves four. 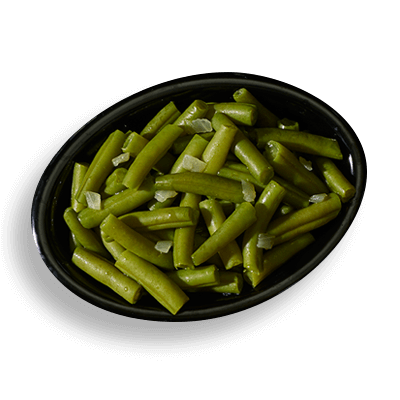 For sides - Small is 3-4 servings, Medium is 6-8 servings and Large is 16-20 servings. 3.99 sm/ 5.99 med/ 19.99 lrg. 5.99 sm/ 9.99 med/ 23.99 lrg. 4.99 sm/ 47.99 med/ 21.99 lrg. 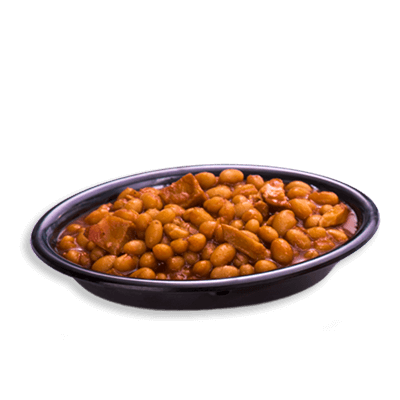 BBQ without sides? Not around here. 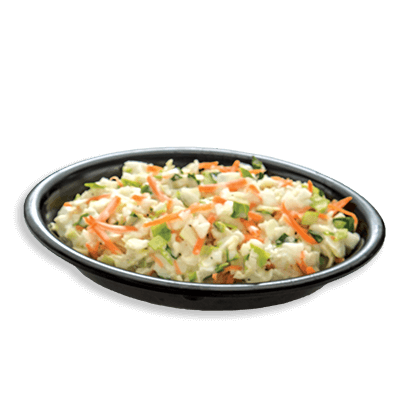 Especially with delicious sides like homemade coleslaw, BBQ beans, mac & cheese and more.